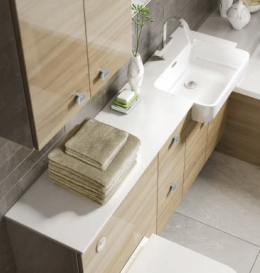 Meet Urban Gloss Elm on Gloss Kashmir cabinets and the unique Largo, one piece basin and top available in right or left handed format and fitted to suit your needs. The HA870 Rectangular Chrome Gem handle adds the sparkle. 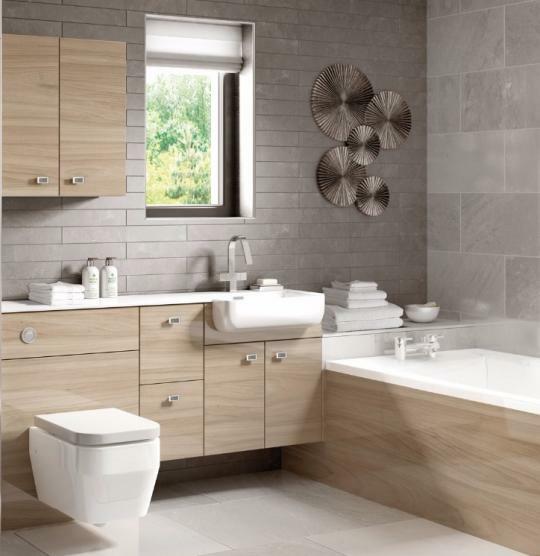 Fitted without plinth, the Bull wall hung WC and coordinating bath panel are shown.